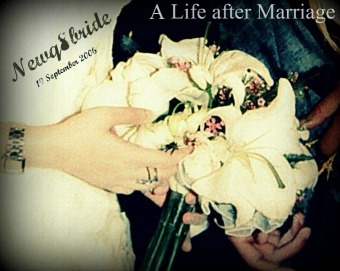 NewQ8Bride : A Life after Marriage: Me , U , others , travling . Me , U , others , travling . I was thinking writing about this topic long time ago . It is the holiday season , everyone is thinking about traveling , where to go , how long and when ? for me and jj ,we always travel in times when people here in Kuwait are busy with finals ;P No kids , no large groups and wherever u go , u will enjoy the calmness of the place . way I do with JJ , so imagining that I am traveling with both of them ?? that will give me a heart attack , I can never split myself between them . I will feel guilty if I left her alone , and I will feel more guilty towards JJ if I didn`t give him my attention . please people don`t think that I am that kind of wife that never let her husband breath , I am totally different , here in Kuwait we are both busy with our lives , work , gym , blogging , friends and family , so our vacations are like a new honeymoon for us that keeps coming ever year . we are together for almost 6 years now , I hope he knows why I got mad when I was in london last month because his friend was there , to be honest J was with me all the time , but I was really sensitive regarding the issue and I hope I explained why . at the end , what I am trying to clarify here , Traveling with JJ means : just us , only us alone . some people think that`s weird , dominating or they may think that I am a needy person . I just want to be relaxed alone , not to get attached with anyone , we can wake up whenever we wanted , skip meals or walk instead of taking a bus .